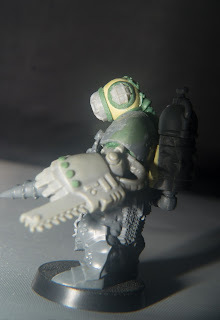 Barring the Cabin Boy (who was made as an afterthought really), this guy was the last of my Rogue Trader INQ28 crew made in 2013. With converting the Nurgle Lord being something of a right of passage for any modeller in INQ28, I felt it made sense to have a go myself. 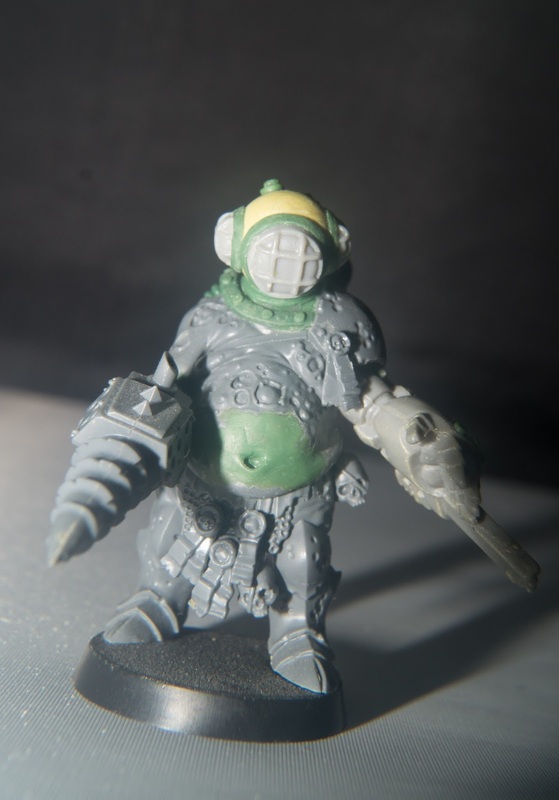 Obviously he is based upon a certain denizen from an underwater computer game setting with a little individual twist. 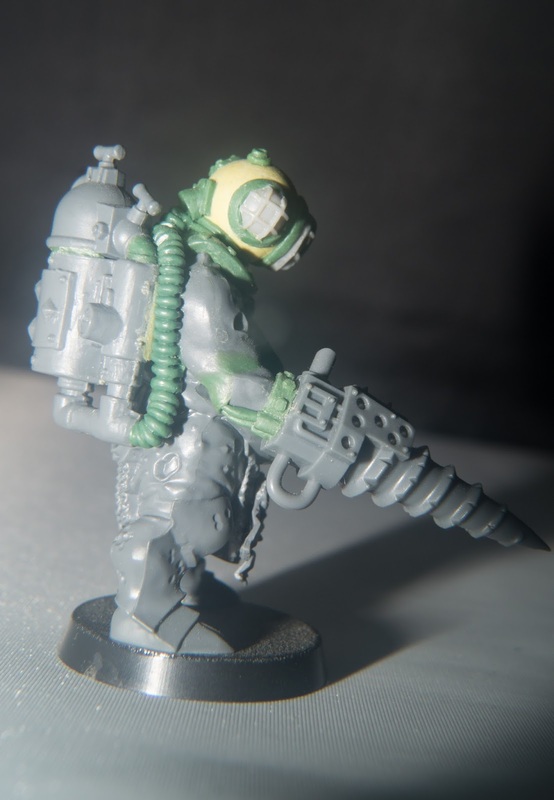 The Heavy Daddy is a biotechnological relic from a bygone era, found wandering the deep bowels of The Coelacanth, he was brought to the surface levels of the ship and is now deployed whenever some brutal muscle is needed on missions. 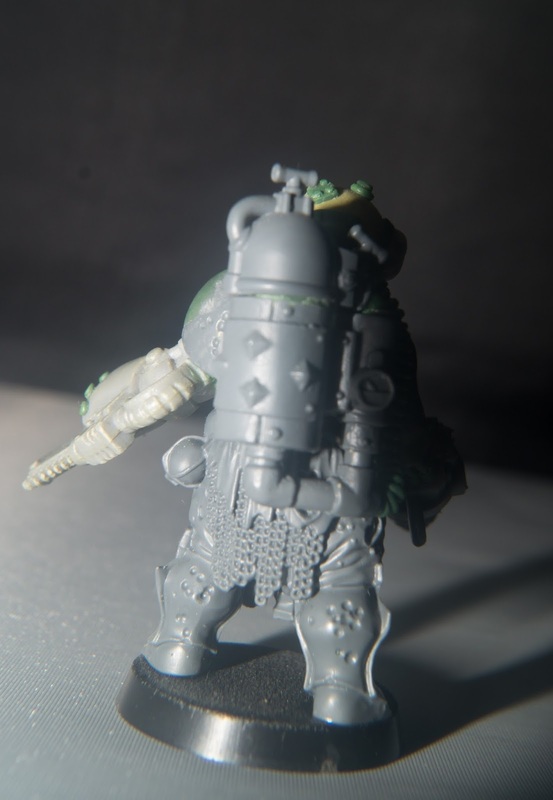 That's a really great conversion. What bits are the tank on the back made up of? 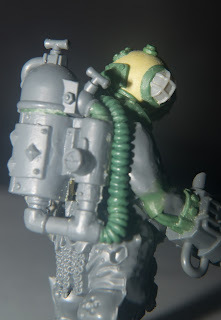 The tanks were made from a fuel canister from the Ork Burner kit and the engine cap from the Empire Steam Tank kit.